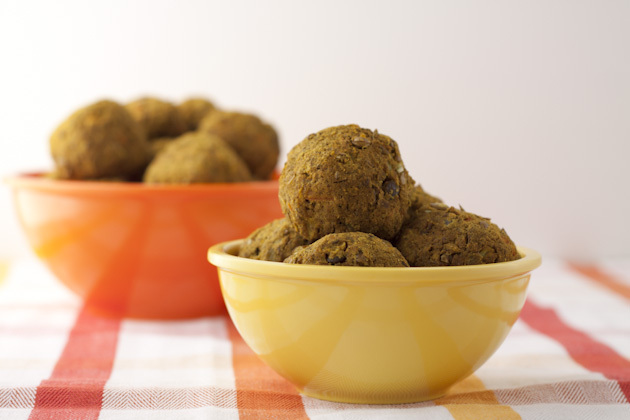 The word kofta is derived from Persian k?fta which means “to beat” or “to grind” or meatball. The kofta in India is generally made vegetarian by replacing the ground meat with a variety of vegetables and cheeses. In my homemade rendition I chose to use lentils (aka dhal) and potato (aloo). Preheat oven to 375F and line a baking sheet with parchment paper or silicon baking mat. Place 2 tablespoons of the avocado oil on a small plate and set aside. Add all ingredients to a large bowl and mash with a potato masher until incorporated. There can be large pieces of vegetables left intact, just make sure the mixture squeezes together nicely. 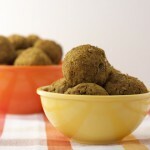 Work dough into golf ball-size balls, rolling each in the plate with oil, just until coated. This will help the balls stay moist on the inside and crisp on the outside without having to deep fry them. Place each ball on the prepared baking sheet. Cook for 22-25 minutes, or until golden.